Several candidates in Tuesday's midterms won by thin margins, leading to questions about whether those ballots should get a second look. But a close call doesn't automatically trigger a recount in Minnesota. Here's a look at the state's rules and calculations when it comes to recounts, and where it might become an issue. When can a recount take place and who pays? The key factor to have a publicly-funded recount is the difference between the percentages of votes obtained by both candidates. Minnesota state law defines that a recount can take place for a federal, state constitutional or judicial offices if there is less than 0.25 percent difference in vote counts for an apparent winning candidate and any other candidate. It's 0.5 percent for the state Senate and House elections. Recount rules for county, school district and municipal offices vary depending on the total number of votes cast. If an election draws more than 400 but less than 50,000 votes in all, a recount can be requested when a winning margin is smaller than 0.5 percent of the total votes. In case of a local election with more than 50,000 total votes, a recount can happen with less than 0.25 percent difference. When the total number of votes cast for any office is 400 or fewer and the difference in votes obtained by each candidate is 10 or less, a recount can be called for. But if a losing candidate is willing to pay the cost for recounting, there's no such threshold in the number of votes one should receive. The request should be submitted along with the funds within seven days of the canvass in a general election. Once a recount petition is turned in and accepted by the secretary of state, the next process is to assemble all eligible ballots. 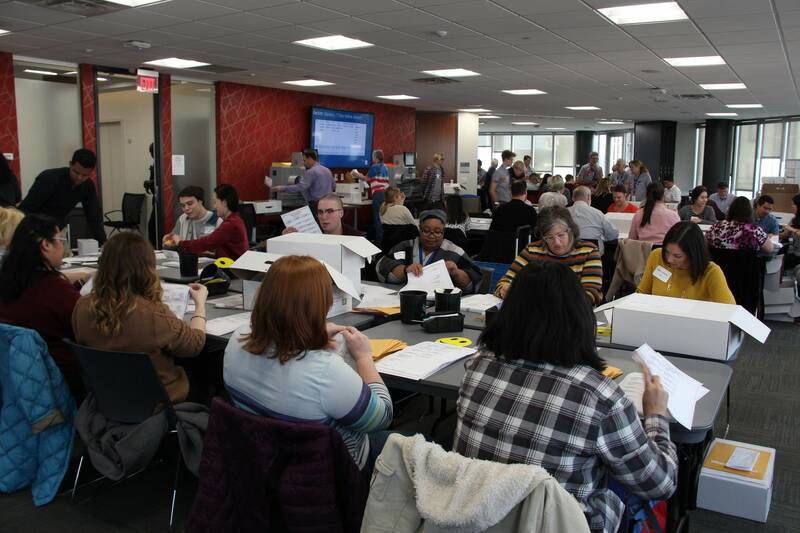 The ballots, including absentee ballots accepted by the deadline, are sorted and counted by precinct in the county where they were originally cast. The entire process is open to the public and supervised by a designated recount official, generally a county auditor. While anyone can be present during the recount, the ballots are handled and hand-counted only by trained election officials. When there is a disagreement between a candidate and the election official's determination, the challenged ballot is sent to either the state or county Canvassing Board for further review and decision. No recount request has yet been made this election cycle in Minnesota, but several races ended close enough that someone may seek a second tally. In Minnesota's 1st Congressional District, the race was called for Republican Jim Hagedorn, whose winning margin over DFLer Dan Feehan was less than half a percentage point. In the Minnesota House, a recount for a Bemidji area district has been pending, with only 8 votes separating Democrat John Persell over Republican Matt Bliss. In southeastern Minnesota, two Rochester City Council seats were also elected by narrow margins. Patrick Keane beat Heather Holmes by 44 votes and Shaun Palmer defeated Judy Hickey by 60 votes. Since both races have more than 0.5 percent difference in the total vote counts, neither is eligible for publicly-funded recounts.